Faye’s soul-mate is everything she should hate—an Angel, an outcast, an enemy. Ashe is just one more imperfection in her life that somehow makes everything… perfect. With the only person she loves ripped away, Faye sets out to avenge Ashe’s death. The task seems impossible, until she finds Lor—an Angel who looks nearly identical to Ashe’s killer. Arrogant and hot-headed, Lor is everything Ashe wasn’t. But Lor is connected to her soul-mate’s past, and Faye needs him to find the killer—even if Lor is potentially deadly. But when Faye discovers that Ashe’s past isn’t as black and white as she thought, she faces an impossible choice: Give up the hunt, and risk the lives of others. Or continue pursuing Ashe’s murderer, and forfeit the lives of everyone in her family—including herself. 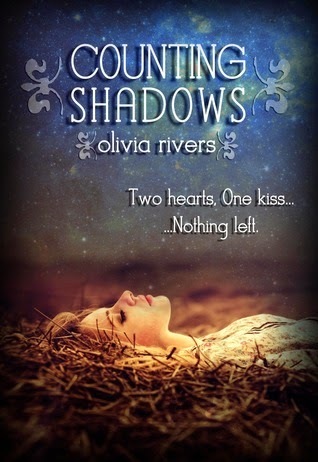 “Counting Shadows” is a YA Epic Fantasy, suitable for ages 13+. His black eyes settle on mine, the pain in them a silent accusation. Ashe knows he’s about to die. And he knows I’ve lied about his Fate. I can’t feel guilt. I can’t feel anything. There’s only my ragged breaths and the tears pressing against my eyes. Ashe steps toward me, even though I’m in the opposite direction of the door. No, I silently beg him. Run. I don’t realize I’m shaking my head until he falters. He walks toward me, his face hard with determination. One of the guards shouts and stabs his spear forward. At Ashe. My Ashe. I scream at the guard, telling him to stop, to leave, to disappear and never show his face again. But my words are a jumbled mess, and it’s too late. The spear pierces Ashe’s right wing, drawing blood. Nausea fills me as the red blood mingles with his crimson feathers. I’ve always loved his wings. They mark him as an Angel, the one bit of perfection in my life. Now those wings are ruined. Ashe’s eyes never leave me, even as the guard tears his spear out of the wound. I swallow hard. I’ve never stared into his eyes for too long, knowing I’d probably lose myself in all the pain and loneliness in their depths. Now I never want to look away. “Get moving,” the guard with the bloodied spear growls. He stabs at Ashe again, but Ashe grabs the shaft of the spear before it strikes him. He yanks the spear from the guard and snaps it in two. Ashe allows one of the halves to clatter to the stone floor, but keeps hold of the sharpened end. His gaze slowly sweeps over the four guards with weapons, a low growl rumbling in his throat. “Your father ordered this,” snaps the guard without a spear. He braces for an attack, as do the others. I recognize this leader as Jolik. He was my bodyguard for awhile before Ashe became my Guardian. I’m not sure how many bodyguards I went through—five, six?—but they never lasted long before I excused them. “He won’t,” Jolik says, shaking his head. Ashe doesn’t wait for Jolik to change his mind. He drops the broken spear and rushes to me. Cupping my face with one hand, he uses the other to press me against him. Familiar heat radiates off him this close. He tilts my chin up and kisses me so gently, I barely feel his lips against mine. But I can feel the desperation, and as he presses me a little closer, I know this is a goodbye. The kiss only lasts a moment. Then the guards drag him away, and those threatening tears finally spill. I’m not sure if the tears are angry or anguished. Or maybe just broken. I don’t get to respond. The last guard exits my chambers and slams the heavy door closed, leaving me truly alone for the first time in years. I take a shuddering breath, willing the doors to burst open, for Ashe to come rushing back to me. Nothing will ever be okay. Olivia Rivers is the author of five novels, ranging in genres from Epic Fantasy to Contemporary Romance. 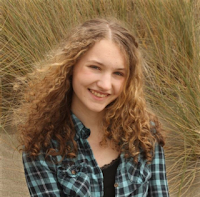 Along with being a writer, she's a freelance digital artist, a literary agent assistant, and a high school student. She's a nerd at heart, and is a hopeless fan-girl for Doctor Who and Pokemon. Olivia lives in California with a dog who thinks he's a cat, a cat who thinks he's a dog, and a kitten who is just generally confused.